There are an estimated 8.7 billion devices currently connected to the Internet - and each one is a threat to its owner. Computers and computer systems rule our lives, and it is impossible to imagine life without them. But as society has become evermore dependent, both economically and politically, on the electronic flow of information, it has made us vulnerable to the real and destabilizing threat of cyber attack - the extremes of which could see us having to exist without power, vital resources and communications. 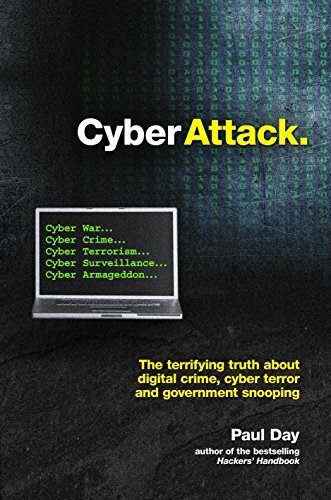 Confronting this terrifying reality, Cyber Attack explores the digital dangers we face and examines the extremes they could reach. The book also investigates who is responsible and what can be done to protect us. 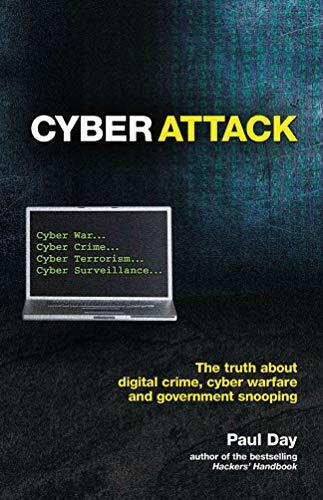 Cyber Attack is written by bestselling author Paul Day, a former hacker turned leading computer security expert, and covers all areas of digital menace. What you learn in this book will make you think again next time you make an online transaction or send sensitive information from your smart phone. Paul Day has been at the forefront of exploring and understanding computer systems for many years. He has over two decades' experience in hacking and testing the Internet's security boundaries. He started the highly respected hacker e-zine Phreak/Hack United Kingdom (P/H-UK) but dropped out of the scene after the high profile prosecutions of Datasteam Cowboy and Maelstrom. He is the author of the bestselling The Real Hackers Handbook and Hackers' Tales and currently works as a computer networking and security specialist.